NewbieDM Minicast Ep. 8 is available. In this episode of the minicast I am joined by G. Dustin Snyder, Community Advocate for Organized Play at the Wizard’s of the Coast Community. He is going to walk us through the process of signing up for the D&D DM’s Rewards, which gives DMs free gifts for just signing up and running sanctioned games. The minicast is available on itunes, via feed, and at its own website. Remember the voicemail number at 305-349-3026. Also, if you enjoy these minicasts, I’d really, really appreciate it if you went to Itunes and left a review or rated them. Hey everyone! Thanks for listening to me ramble on newbiedm‘s minicast! I know that I gave everyone a lot of information in a little time, so here’s a loose collection of notes I’ve put together on how to get signed up for WotC’s DM Rewards program. Still getting stuck somewhere? Don’t hesitate to contact Wizard’s Customer Service – or I’m more than happy to try and help out myself. You can PM me on the WotC Community (WolfStar76) or even poke/follow me on Twitter (@wolfstar76). Enjoy your free stuff! You’ll be earning it! If you don’t already have a WPN#, visit http://www.wizards.com/Company/WPN/Default.aspx and click “Join WPN” to get a number. Create and take the Tournament Organizer “exam” – it’s far less a test/exam, and more like an agreement to follow the rules of the program. You will likely want/need to add a venue to your profile. You can do that via the “Join WPN” option at wpn.wizards.com – If you’re going to run events like D&D Encounters you *MUST* have a retail venue as part of your WPN Organizer profile. 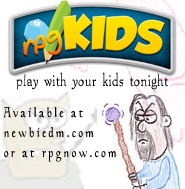 Take the “RPGA Dungeons & Dragons” test (formerly known as the Herald Level Test). Because this is an OPEN BOOK test, you’ll want to have your 4E PH, MM, and DMG handy for reference. If you passed the Herald Level/RPGA D&D test -you should have a link to RPGA DM rewards. Free stuff requires you to run 5 sanctioned RPGA games/tables every 6 months. Hi. Thanks for taking up this question, as I for one have found WotC’s organized play websites to be confusing, to say the least. I guess I have one question still. So, I’ve got my herald level RPGA D&D test passed (have had it for over a year). After you go to the Magic Rewards page (which, yeah, is really confusing), I see links for “Magic Player Rewards Program” and “D&D Rewards Program.” Is the “D&D Rewards Program” the same as the DM rewards program? Yes, the D&D Rewards Program is the link you need to click for what’s now called the DM Rewards Program. Go figure! Another question – if I’m DMing the D&D Encounters series organized (and reported) by staff at my FLGS, am I getting credit for the Rewards program?